Let’s take a look at the price tag of the OnePlus 2 before we get to know more about the smartphone. The OnePlus 2 India price has not been revealed yet, but the company’s CEO, Pete Lau did confirm that the smartphone will be available for less than 28700 ₹. Continue reading to find out more about the OnePlus 2 India price and specs. Just like its predecessor, the OnePlus 2 is expected to feature a 5.5-inch LTPS LCD display showing Full HD resolution. From some of the leaked specs, we have learned that the smartphone will feature a full metal body and will be thinner than the OnePlus One, about 8.9mm thick. For those who are looking for a mid-range phone with great specs and don’t want to wait for the OnePlus 2 release date India can check out the Asus Zenfone 2 and HTC Desire Eye. 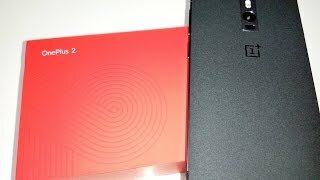 For running all the latest games and apps smoothly, the upcoming OnePlus 2 will be packing the powerful Snapdragon 810 quad-core processor which is also included in the likes of HTC One M9 and Sony Xperia Z3+ that you can also check here. It’s expected to be paired with 4GB of RAM. Other notable features to look forward to are: new USB Type C port, lightning fast fingerprint sensor, 3300mAh battery, 16-megapixel rear camera and 5-megapixel front camera. The release date of the OnePlus 2 has not been officially revealed yet. However, it’s expected to show up in the third quarter of 2015. If you are satisfied with the OnePlus 2 India price, you might have to wait for the smartphone for quite a while. The OnePlus Two is expected to cost about $540USD which is quite surprising. The OnePlusTwo India price is expected to be equivalent to the USD price which is about 2000AED or SAR (~4000 EGP). According to an online listing for preorder from Chinese retailer, the OnePlus Two will be available from February, 2015 which means we can expect to see the OnePlus Two release date India after February, 2015. OnePlus One managed to turn a lot of heads when it came out back in June, 2014. The smartphone became a flagship killer and managed to win our hearts almost instantly with its combo of killer specs and pocket-friendly price tag. Now that the year 2014 is coming to an end, it’s time that we learn about the upcoming OnePlus Two. It’s one of the most anticipated smartphones of 2015 and there are reports and rumors coming in about the OnePlus Two. Continue reading to learn more about the OnePlus Two India price, release date and specs. The OnePlus One smartphone managed to grab our attention with its unique design and a style of its own. Now, following the footsteps of its predecessor, the OnePlus Two is expected to offer more options for customization. There was a limited number of StyleSwap backs available for the predecessor, and the upcoming smartphone is expected to offer a wide range of material and color options. The OnePlus One was quite heavy so we are expecting to see a change in the upcoming one. 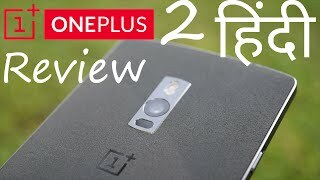 If you are looking for a phone with unique design, you can think about checking out this one once the OnePlus Two release date India becomes available. The OnePlus Two is going to stick to the 5.5-inch screen size. However, the 5.5-inch TPS energy efficient display is expected to show 2560 x 1440 pixels resolution. Sticking to that 5.5-inch screen is actually a good idea if you don’t like smartphones with too big screen. There is also a rumor saying that the smartphone will be featuring the same resolution, but most of the smartphones nowadays are going for 4K resolutions so the first one sounds believable at this point. 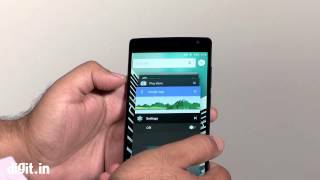 The original OnePlus smartphone packed CyanogeMod’s own custom ROM inside which is based on Android. However, a report suggests that the company is working on a custom ROM of their own for the upcoming smartphone. It will be interesting to see how the custom ROM works once the OnePlus Two release date India becomes available. Some notable features of the upcoming OnePlus Two are: 3GB of RAM, Snapdragon 805 CPU and 32GB of built-in storage. To power up all these things, there is a slightly bigger 3300mAh battery. The OnePlus One featured a 3100mAh battery so it’s not really a big jump. Another notable change in the upcoming smartphone is its rear camera. The 13-megapixel rear camera is going to be replaced by a 16-megapixel one. However, the front camera will still feature a 5-megapixel one. If you are looking for a phone with nice camera and battery life, you can think about checking the OnePlus Two India price. That’s all we have learned about the upcoming OnePlus Two so far. The phone is expected to show up in February, 2015, so we have to wait for a while to confirm these things officially. The two Mobile Phone is manufactured by OnePlus and was added around November 2017 and is part of the OnePlus Two series. This version of the Mobile Phone comes in Color : Black , Capacity : 64 GB , Display Size : 5.5 Inch , Sim Cards Slots : Single Sim , Device RAM : 4 GB. The model comes in 9 other variations including combination of 16 GB, 64 GB Capacity , Black Color , 4 GB Device RAM , 5.5 Inch Display Size , 1.8 GHZ Processor Speed GHZ , Single Sim Cards Slots. The best price for the OnePlus Two in India is ₹ 36790 sold at ebay and available with free shipping and delivery within 10 DAYS WITHIN INDIA , 21 days OUTSIDE INDIA.